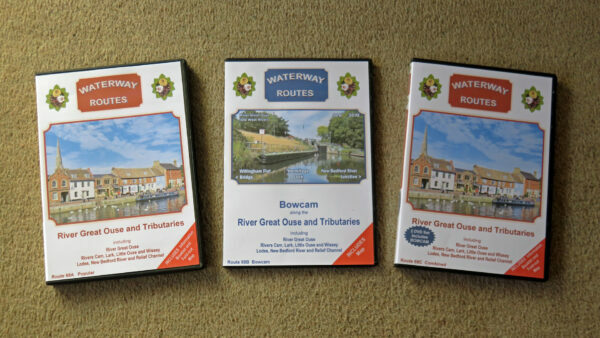 I am pleased to say our River Great Ouse and Tributaries DVDs have just been released. Combined – both Popular and Bowcam in one box for the best of both worlds, saving money and postage. 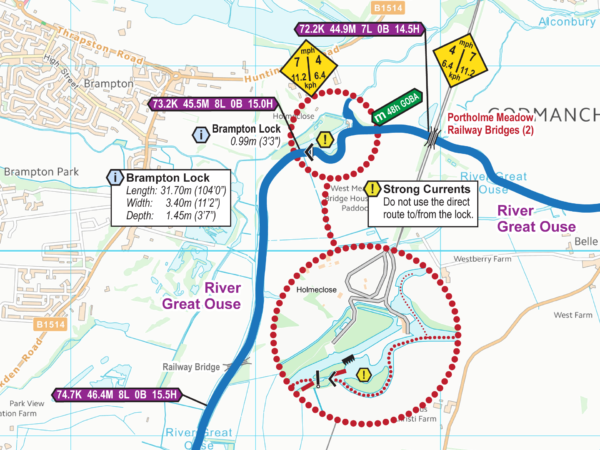 Joining the River Great Ouse through Salters Lode Lock on the Middle Level Navigations we’ll show the tidal crossing to Denver Lock, then follow the river upstream to the limit of navigation at Bedford. We’ll visit each of the connected navigable waterways including the Relief Channel and the Rivers Wissey, Little Ouse and Lark. We’ll cruise along the Cam into Cambridge, visiting Burwell, Reach and Wicken Lodes along the way. 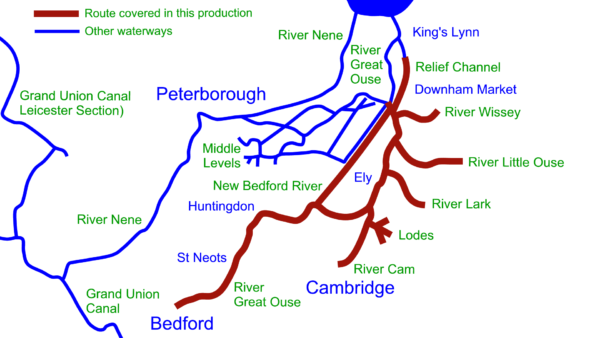 We’ll also see the Great Ouse bore as we show the alternative tidal route along the New Bedford River. The Popular and Combined DVDs each include an information booklet and a fold-out map. Contents of the River Great Ouse and Tributaries Combined DVD. Includes both Popular and Bowcam discs, a fold-out map and an information booklet. Enjoy these waterways from the comfort of your armchair. 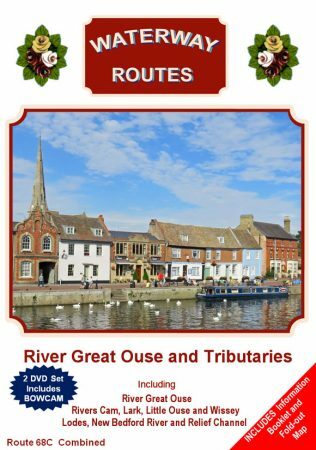 These River Great Ouse and Tributaries DVDs, or any others from our range of waterway DVDs, are great for planning your cruise, or just for fun. 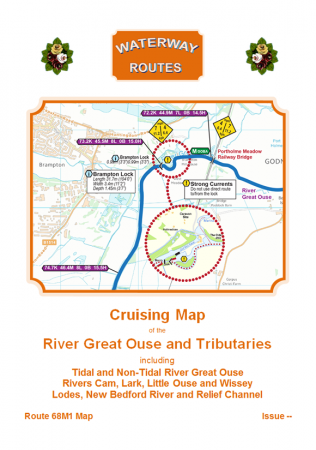 We also have the River Great Ouse and Tributaries Maps which are available to download in both Acrobat (pdf) and Memory-Map (qct) formats. The River Great Ouse and Tributaries Maps are also available on CD in a presentation box which makes them ideal for giving as a present. You can save 10% by purchasing a River Great Ouse and Tributaries DVD and Map in the same transaction. This entry was posted in Burwell Lode (Cam), Burwell Lode DVDs (Cam), New Bedford River, New Bedford River DVDs, Reach Lode (Cam), Reach Lode DVDs (Cam), Relief Channel (Great Ouse), Relief Channel DVDs (Great Ouse), River Cam, River Cam DVDs, River Great Ouse, River Great Ouse DVDs, River Lark, River Lark DVDs, River Little Ouse, River Little Ouse DVDs, River Wissey, River Wissey DVDs, Wicken Lode (Cam), Wicken Lode DVDs (Cam) by Paul. Bookmark the permalink.